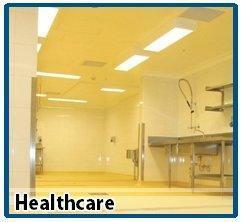 Durable, hygienic and trouble-free flooring systems are used for any busy healthcare settings such as hospitals, clinics and care facilities. It is also acknowledged that color and design choices for floor coverings should be simple, comfortable and agreeable to the eyes. Comfort is also given importance in a healing environment. Healthcare floor coverings provide a comfortable underfoot that eases the stress of walking and provides a slip-free solution. Some floors are also capable of controlling bacteria growth and reduce maintenance. High Performance Solutions, Inc. is the leading provider and installer of flooring and coating systems in the Philippines. Our flooring solutions guarantee a high performance floor covering that ensures an improved healthcare environment for the staff and patients.